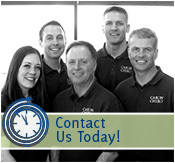 At the Caron Chiropractic Clinic, we do more than adjust misaligned spines. 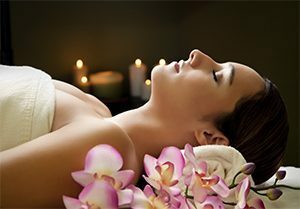 As holistic healers, we use natural medicine techniques in many forms to help our patients heal and find comfort in their daily lives through other natural treatments, including massage therapy. With massage, we’re able to help our patients enjoy all the benefits of massage therapy, from curing headaches and migraines to treating both mild and severe injuries. Whatever reason you have for searching out a massage therapist in St. Paul, MN, look no further; you’ve found us! If you’re suffering from an injury that simply won’t go away, or if you’ve been treated for an injury and can’t seem to find relief from lasting pain, massage therapy may be just what you need. Unlike other types of injury treatment, massage therapy has the ability to target several of the body’s systems, making its benefits virtually endless. These include the lymphatic, respiratory, circulatory, muscular, and nervous systems. When you consider this, you’ll understand how massage is capable of relieving muscular and nervous tension, improving circulation, increasing range of motion, reducing inflammation, relieving pinched nerves, and more. That means that whatever pain or problems your injury has caused, massage could very well be the solution. Based on the wide range of benefits of massage therapy we’ve already listed, it might not be surprising that massage can cure headaches and migraines, or at least help keep them at bay. If you suffer from chronic or frequent headaches or migraines, or if you suffer from them too often for your liking, massage may be the answer. With the power to target several of your body’s systems, massage can help relieve headaches and migraines that are caused by a wide range of issues, including nervous and muscular tension, trouble in the lymphatic system, and more. As a natural medicine clinic, we understand how detrimental stress can be to your physical and mental health. When you’re stressed, your entire body suffers, and you can cause serious damage to your body and your mind if you allow stress to continue unchecked. That’s why we recommend stress relief massage therapy for patients who suffer from frequent stress or for those who are going through a particularly stressful time in their lives. Unfortunately, stress is “the silent killer,” and this isn’t an understatement; stress can create tension in the body that manifests in pain no less severe than an actual injury. If you think you could benefit from massage, speak with one of our St. Paul, Minnesota massage therapists at Caron Chiropractic Clinic today at (651) 255-9999 or info@caronchiropractic.com, and see how you can improve your physical and mental health through massage. This entry was posted	on Friday, February 2nd, 2018 at 2:28 pm	and is filed under Auto Injuries, Back Pain, Chiropractic, Chiropractic Treatments, Chiropractor, Massage Therapy, Personal Injury, Sports Injury, Whiplash, Work Injury. You can follow any responses to this entry through the RSS 2.0 feed. You can leave a response, or trackback from your own site.